What’s the difference between like & love ? a masterpiece : When you like a flower,you just pluck it . 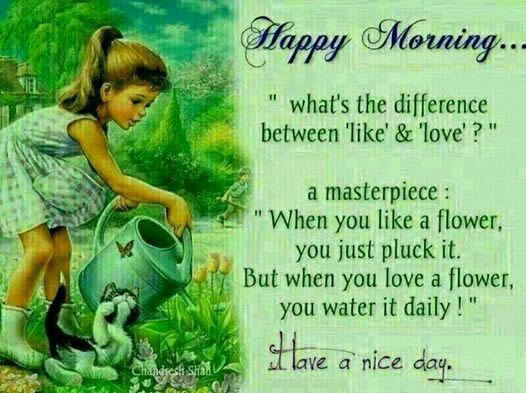 But when you love a flower you water it daily.Have a nice day.